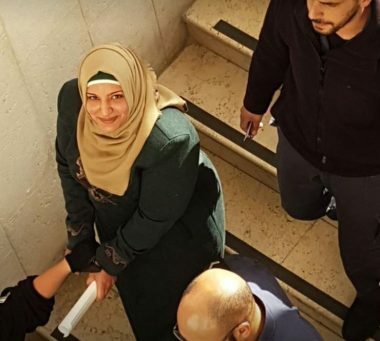 The woman, Fadwa Nazeeh Hamada, 31, was taken prisoner on August 12th 2017, in Bab al-Amoud area (Damascus Gate) in occupied Jerusalem. The army claimed she attempted a stabbing attack near the bus station, in front of al-Misrara neighborhood. Fadwa is a married mother of five children; the oldest of them is eight years, and the youngest is 18 months. She was repeatedly transferred to various prisons, detention and interrogation centers.